What kid doesn't love music? I've noticed that they do develop their sense of what is good music and bad music early on and if they don't like something, kids don't hold back they let you know. We all want our kids to appreciate good music. The easiest way to introduce them to sounds and songs is during nap when the brain repairs and relaxes. It's has been shown that some songs/music like Mozart during rest for those early years can help the little one's brain. So, what happens if you like rock songs? Not exactly a great combo, rock and nap time. So, I was appreciative of this CD. It is some of our favorite rock songs put into lullaby form. The soft piano and chime sounds are perfect for relaxing. The rhythm's are to some of our favorite rock songs like: Alive by P.O.D. and How to Save a Life by the Fray. This way you can softly sing the words to your little one as they drift off to la-la-land. 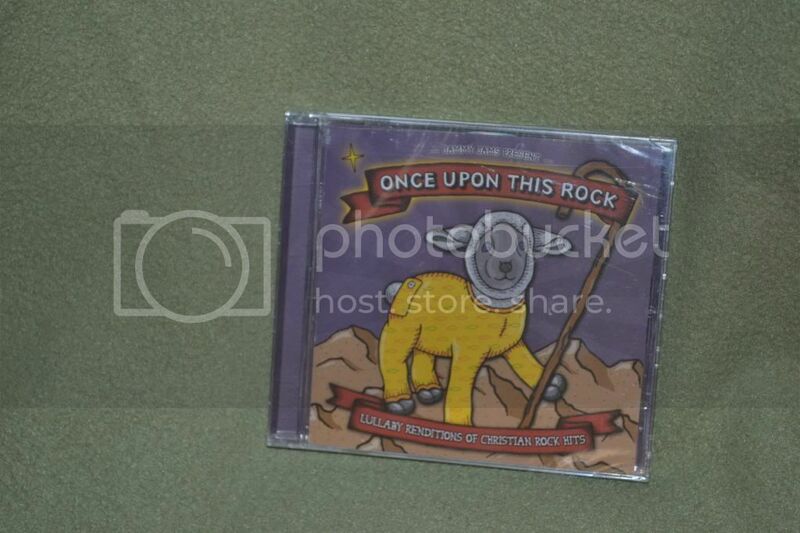 On "Once Upon This Rock: Lullaby Renditions of Christian Rock Hits", Jammy Jams explores the world of modern Christian Rock and turns these tunes into calming lullaby versions to "rock" your little one to sleep. You will be amazed as you listen to soothing lullabies featuring the melodies of '80s Christian RockersStryper, to '00s Alternative Metal giants P.O.D. and Flyleaf, to spiritual contemporary and pop artists likeThe Fray and Owl City and many more! The Soothing sounds are what Jammy Jams is all about. Experience these popular Christian Rock hits in a whole new way with baby today!